Here is a sample from my latest project. It’s a chapter from my not-even-close-to-being-finished book. Feel free to give me some feedback. I believe that there is neither “The Way” nor “God’s Way” to raise children. There is no formula for success. But that does not mean that there are not good practices and bad practices. Indeed, there are things that generally work and things that generally do not work. This book is devoted to clarifying the difference. However, the key to being a good parent is the pursuit of more effective practices and attitudes. We need to be seeking a better way by praying for wisdom, talking with other devoted parents, reading various books, observing happy families, and trying to improve the way we help our kids grow up well. We can’t get complacent. We can’t just be ourselves. We need to become better lovers and leaders of our kids, and I believe we will find our way if we keep on. The real danger is for parents who do not examine their ways. These are the parents who simply react to problems without careful considerations. They will blindly follow their parents’ ways, like the father who shuts down and gives the cold shoulder anytime he feels the awkwardness of conflict. That trait is a coping mechanism that he has picked up from his father, and yet he is unaware of that transfer. The cold shoulder is a clamp on the parent-child relationship. On the other hand, many parents will always do the opposite of what their parents would have done. For instance, I know a young mom who grew up under her parents who would vent every little frustration with anxious pacing, yelling, ranting and raving. Now she just can’t yell at her kids. She’s too calm too often, and her kids get away with murder. These are examples of knee-jerk-response parenting. They do not think first, then act. Instead, they react first, then have regrets later. They do what feels right at the moment, instead of being proactive in seeking wisdom before action. They do not seek the wisdom of wise friends, grandparents, authors, or counselors to examine the root causes of disconcerting behavior or attitudes. They just react with their gut feeling and family traditions. Parenting is a unique relationship, wherein the parent is authorized by law and by God to protect, provide, nurture, and discipline. Ultimately, the parent must somehow control the child enough to train for independent success. So, it is a special relationship, one in which the parent is fully responsible for the children in the early years and only a little less responsible as the children grow older. It requires enormous sums of time, energy, and money. It requires tough love and tender affection. It requires an identity shift, for the “success” or “failure” of the child directly reflects upon the reputation of the parents. What other relationship comes close to that kind of responsibility and intimacy? Our kids, no matter the age, need us to be with them, explaining what makes one thing beautiful and another ugly, why one thing is important and the other trivial, and why this is quite right and that is all wrong. “With” is the key. A relationship such as this is what makes the world a better place, one person at a time. But this kind of relationship is not born with a few quick moments per day. It is born in quantity-time and quality-time. The sooner we embrace that, the better. Many people fail to identify the kind of parent that they want to be. They just do what seems best moment-by-moment, and the next thing they know, they are regretting being too lenient or too strict or too distant. Here are a few of the common traps that parents fall into. Perhaps the latest trend in parenting is the role of best friend – supportive, kind, funny, sharing, generous, and cool. Being the best buddy trump all other roles. Being cool and accepted by the child is paramount. 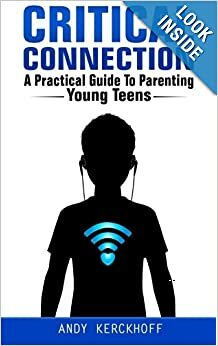 Cool parents are interested in the details of the child’s social life, wanting to know about all the boyfriends and girlfriends. They want to make certain that the child is wearing exactly the right clothes and attending the right events. And they dress and talk like the kids, trying to impress them. And the child learns that the parent can be controlled socially. The oldest role would be the role of supreme ruler. This is the old-school mentality that a parent must dish out memorable punishments for every crime. This mindset is all about behavior modification through setting up just the right rules and matching them with strong punishments and rewards. Judges take great pride – sometimes even bragging – about how strict they are and how clever they are in meting out punishments for poor behavior or attitude. Judges are certain that their children will not respond to anything but spankings, hot sauce, ice cold showers, lengthy groundings, or whatever they think is most clever in their penal system. The child rarely, if ever, gets hugs or praise unless some very high standard is met. Maybe the most popular role is one that provides a house, food, clothes, transportation, and cable TV, but does not engage with the child on a personal level. This parent is like the out-of-town uncle. Nice, supportive, but uninvolved in daily life. Uncles give good gifts at Christmas, are fun to be around on vacation, and are kind, decent family members. However, they do not know much about the inner being of the child. In fact, the child’s teachers and coaches know more about the child than they. The child wishes for more but can’t see a way for greater closeness because the parent just won’t engage in talk or play to get to know the child. The overly-involved parent is so concerned about the safety and success of the child that failure is not an option. He hovers around the child and makes sure that the child never fails or gets hurt in any way. He runs interference for all that might upset the child. He is the rescuer. But in reality, he is an enabler. He is creating co-dependency. The helicopter parent will do the child’s homework if the child is crying about it. He will demand explanations from teachers for every shed tear. He will not let the child become independent as a way of insuring that the child will always be appreciative and nearby. Some will even fill out college applications for the child. The umbilical cord needs to be cut, so the child can grow up to be independent, not co-dependent. So, what is the perfect balance? Well, there is no “perfect” balance, but a “good” balance can be crafted. Avoid the extremes. Don’t be the most permissive, most cool, most involved, most strict, or most anything parent. It’s those extremes that cause problems, usually in the form of resentful, rebellious teenagers. In reality, the best goal is to be the parent who is well-connected with the child and offering support and guidance all along the way. It’s about caring enough to say, “NO, you can’t do that because I love you too much to let you settle for that kind of life.” It’s about not caring about being cool and accepted by children, but rather confident that being a parent is a far higher calling than just being a friend or dishing out punishments. It’s about being an authority who loves always and takes the time to train and guide the child to grow into an independent person. It’s about being the one who plants love, truth, and hope into the mind of a child. So, be the parent. Be the leader. Be the one who calls the shots, sets the agenda, and makes the tough choices. Be the strong one. Be the one who loves. Be the one who serves. Be the one who teaches. Be soft at some point everyday, and yet be willing to be the tough cop when an authority is needed. Take pride in your attempts to be a strong, loving parent. At times it’s the toughest job in the world, especially in those early years when it is so difficult to communicate with a hysterical 3 year old, or in the “second toddlerhood” – adolescence. And yet, once a healthy, loving, authoritative relationship is established, it’s not so hard anymore. In fact, it is not only deeply-satisfying, it can be a lot of fun. Every parent can be a little better than they once were. It is never too late to get a little better at connecting and guiding a child.